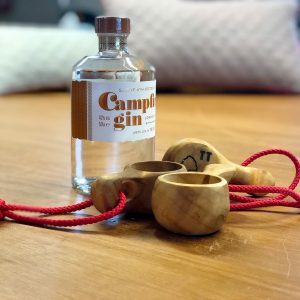 How can you improve on a trusty camp mug? We think we’ve found out… by wrapping them in wool! 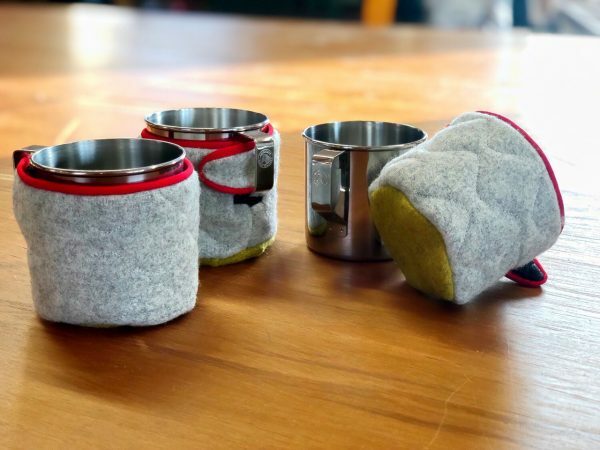 Camping mugs are standard issue for any trip, light, tough and easy to clean though there was always one problem we encountered when using them and that was when we poured in our hot tea, soup or coffee and they were either too hot to hold or cooled down too quickly. 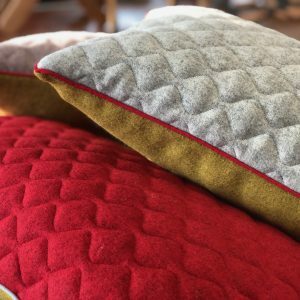 Looking around our workshop at the smaller bits of leftover, quilted wool fabric we had a brainwave. 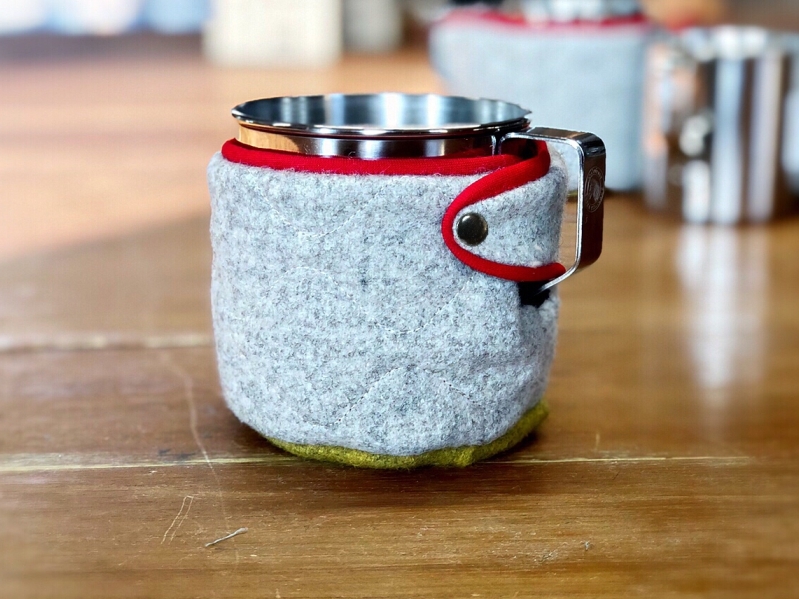 The mugs are made from high quality 304 stainless steel and are built to last. Easy to clean, corrosion resistant, hygienic and light they make for a great addition to your camping kit. 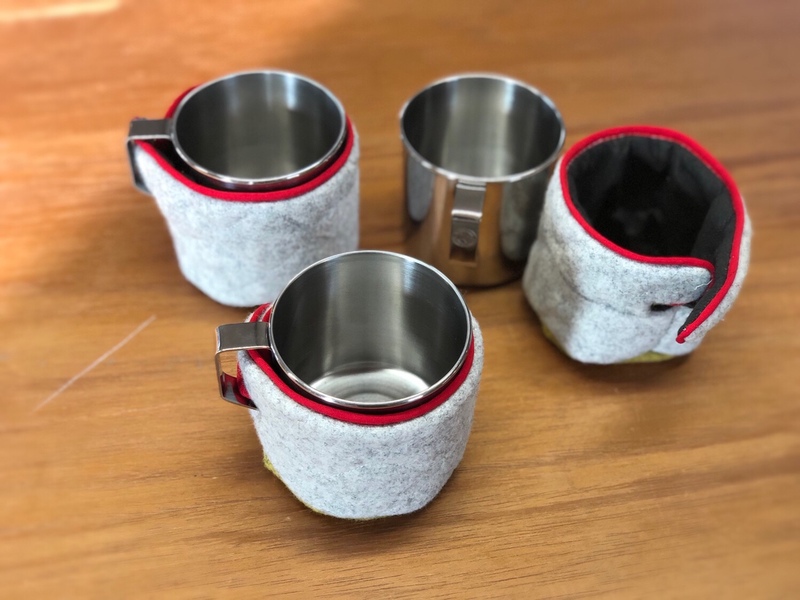 Teamed up with our 100% Melton Wool, removable, insulated covers – hand sewn in our workshop – you can be the envy of the camp site! Mug and cover sold together.